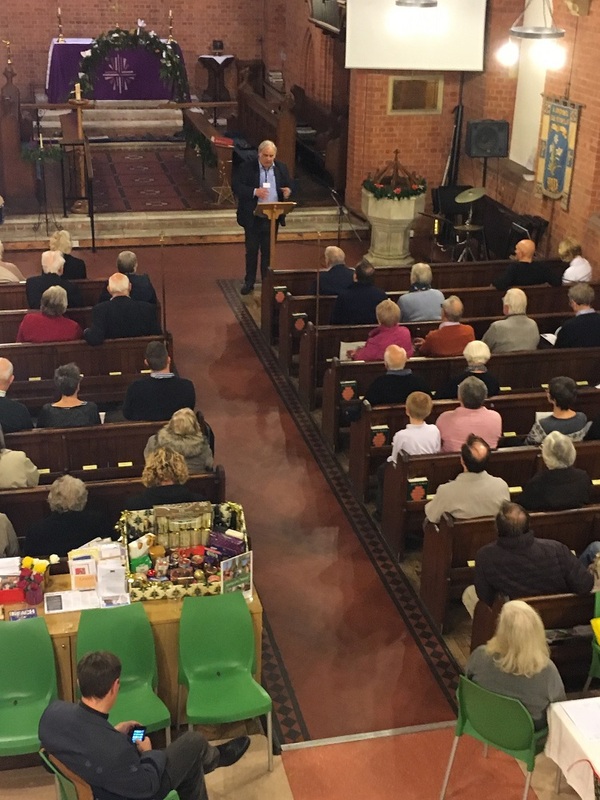 The Loddon valley has had a profound effect on the local history of its surrounding parishes. 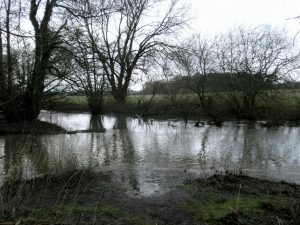 The river flows through Swallowfield and when it is joined by the Blackwater it forms the boundary between Arborfield and Shinfield. It has been suggested that the parish name derives from the ‘shining fields’ seen when the sun shines on the flooded meadows. Maps of 1761 and 1790 use the word ‘Shinefield’ for the parish. A tangle of small streams, ditches and backwaters flows slowly across the flat valley floor and was a major impediment on routes between the Thames valley at Reading and the towns of Hampshire and the south coast. Tracks came downhill from the north towards tentative river crossings. Pearmans Lane is shown on Ordnance Survey maps passing Pearmans Copse in Earley and continuing through fields south of the M4 and Cutbush Lane, to cross the Loddon near the remains of the paper mill and old Arborfield Church. Part of this route is followed by Shinfield Parish footpath walk no. 2. Two other bridging points are now main road routes, on the A327 to Arborfield and on Basingstoke Road B3349 at Sheepbridge. Further upstream, the historic Kings Bridge crosses the Loddon, extending from Woodcock Lane. 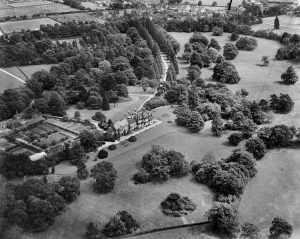 This route was used in the early C19 by the author Mary Russell Mitford when she moved from Three Mile Cross to Swallowfield. The river was essential to the mediaeval economy. It provided food (fish and eels), water power for mills at Arborfield and Sheepbridge, and was navigable for small boats. Wildflowers and small animals were abundant in the damp woodlands and meadows along the valley. Mary Mitford wrote of her delight in ‘the bright, brimming transparent Loddon’. However she also tells of the river flooding over ‘fields, roads, gardens and houses‘. Such floods are still frequent. It is expected that the improved A327 road will not flood. The new Shinfield by-pass incorporates ‘gated’ tunnels where it is raised across the meadows to allow more retention of water on the fields. At Sheepbridge, a mill was recorded in the 11th century Domesday Book, and Guy Stiff, in an article for the WI, in 1996, recalled seeing the last mill at work. The three storey building had a pair of 12 feet (3.6 metres) diameter cast iron wheels taking their power from the river. 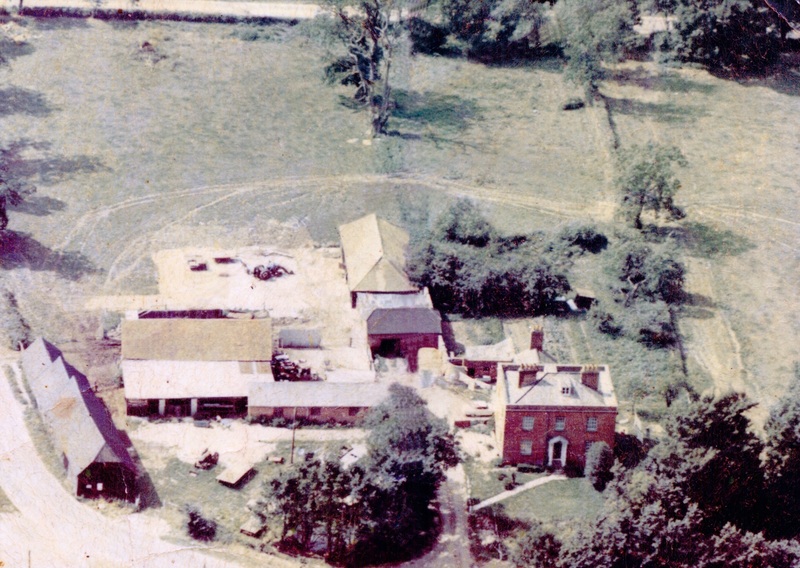 The mill became disused after World War II, and the building was destroyed by fire on 2nd August 1961. Now we can see the mill pond, the mill race and its weir. The Mill House hotel next door is a modern building and the moated house across the road is a historic moated building. In dry times the meadows are grazed by sheep and cattle. 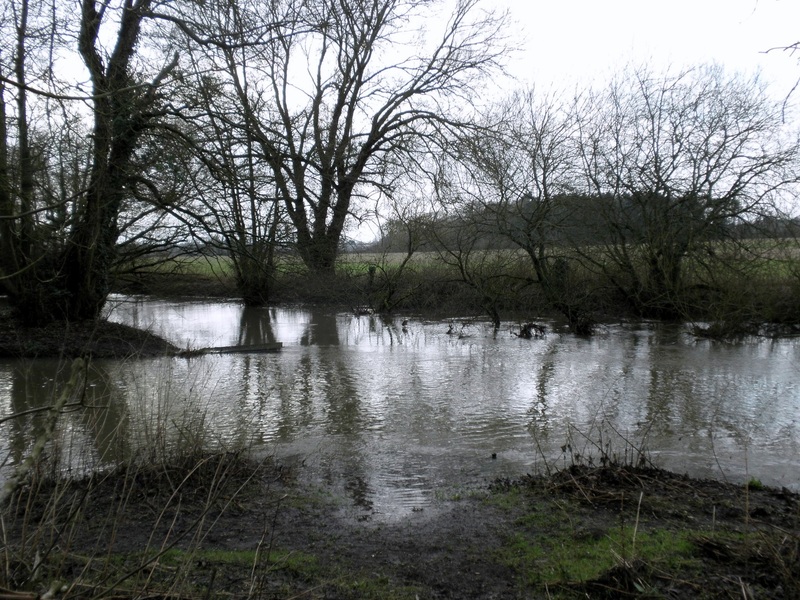 The Loddon is part of the Thames catchment and when levels rise in that river, then the flow of the Loddon is likely to be held back and water levels rise in Shinfield. Riverside land by the old bridge from Pearmans Lane is a site of nature conservation value. In 2010 the braided watercourses were restored and improved by the Environment Agency, which put in a fish by-pass to assist fish spawning, and reinstated weirs to lower the risks of flooding upstream. Gravel deposits over river alluvium have provided pockets of better drained land suitable for grazing animals and growing crops. Small scale gravel was extracted to maintain tracks and improve access. 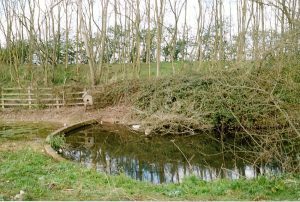 This often left uneven ground and hollows which became ponds, for example northwest of School Green and south of Sussex Lane. Now major extraction works are planned for the fields west of the A327, to supply forthcoming developments. It is intended that affected land in Shinfield will be restored for public use with lakes and meadows. This will link with the Langley Mead area which is designed with restored wildflower grazing meadows and footpaths, parts of which are raised boardwalks for times of flood. Casual play in the fields and by the river has always happened. 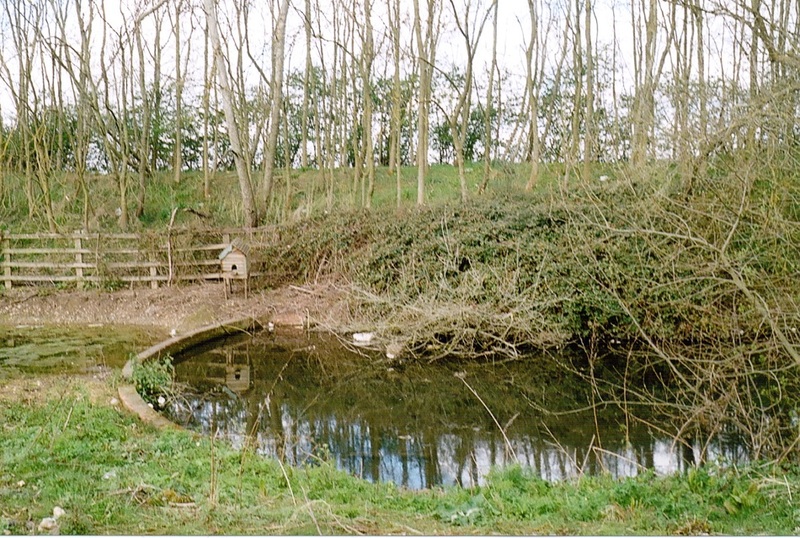 Children would swim in the Loddon and jump and splash in its ponds. Nowadays access is more restricted. Fishing has become a club activity with special fishing rights, and playing fields are planned with careful drainage to be useful for as much of the year as possible. The south-facing sloping fields near Sheepbridge are used for arable crops, and recently a solar panel array was installed over one field to feed electricity directly into the overhead pylon national grid line. We are fortunate that despite the changing landscape, the valley retains its visible presence. This year the group is celebrating its’ twentieth year of existence and the production of five books. Twenty years ago we didn’t envisage that that we would still be going or achieve this. In 2001, we were down to 4 stalwart members from about 7 or 8 that Jeremy Saunders encouraged in his home back in 1996 and we four produced the first Spencers Wood book. 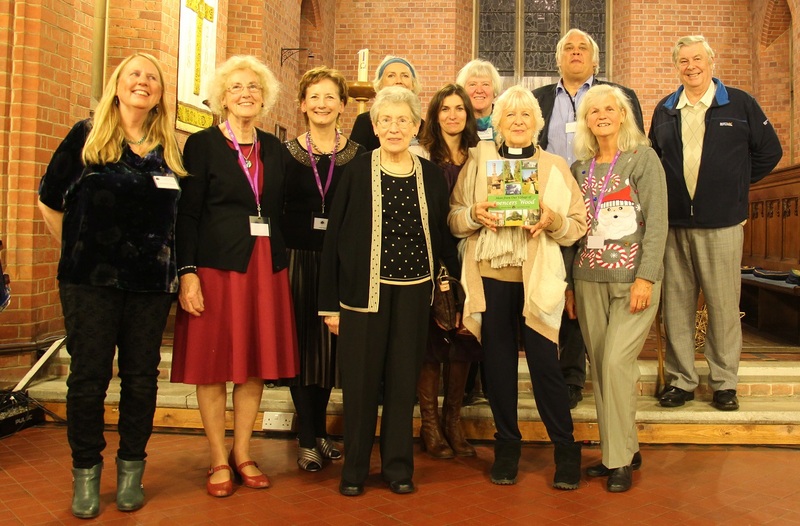 Considering our naivety, we were very proud of it and it sold out very quickly and we resolved to write another one or two about the local school and church, for their centenaries. 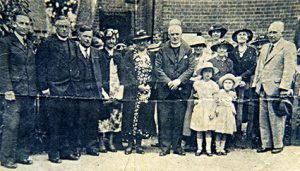 Both organisations were established in 1908 and because we thought that St Michael’s would probably have their own ideas for their celebrations we approached Lambs Lane School first with the idea of a book, for theirs. 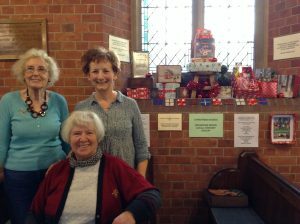 They were most encouraging and we were able to access many old papers and books, to write up their 100 years’ history. St Michael’s story has had to wait until this year and is included in our latest book about the village. 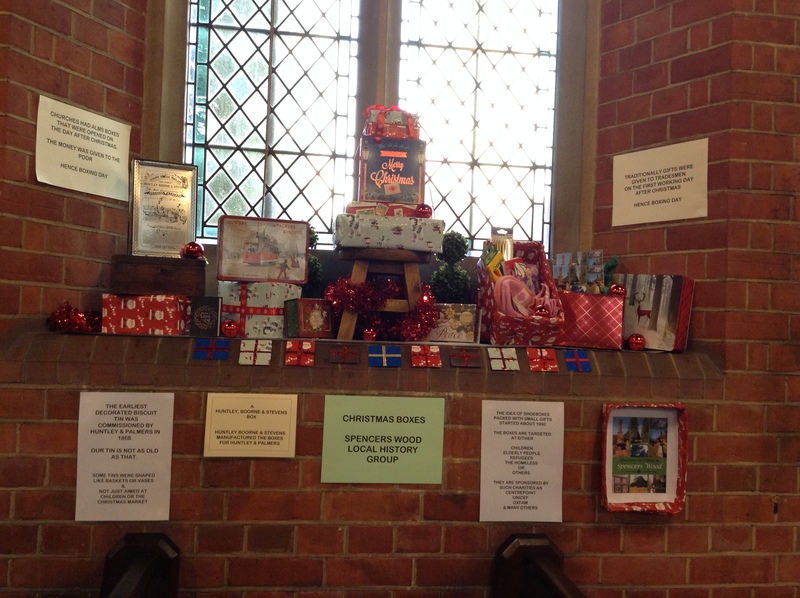 To raise funds for the first book we held exhibitions and film shows in the village hall and the library. 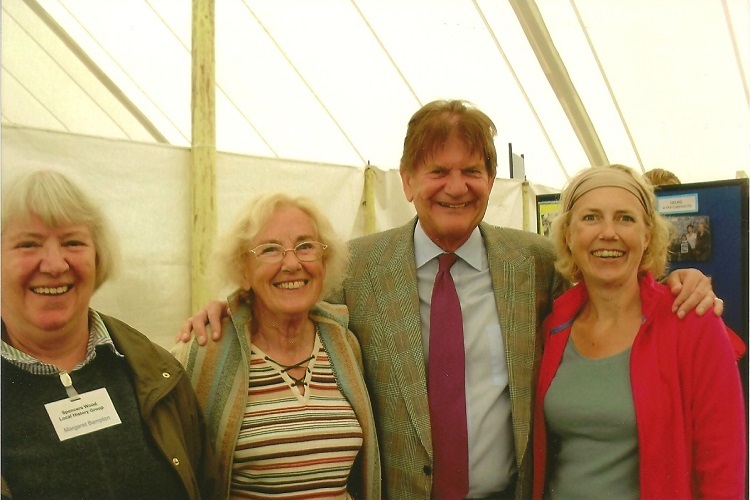 One exhibition, in 2005, was badly attended because that was the year that Prince Charles married Camilla Parker Bowles having changed it from Friday to Saturday, the Grand National was run as well and as the rugby was on at the Madejski Stadium, it was very quiet. On this occasion we were joined with Beech Hill residents who were writing their own history book having been inspired by our first book. They included Mary Wheway, who was promoting her own book about Beech Hill Baptist Chapel. 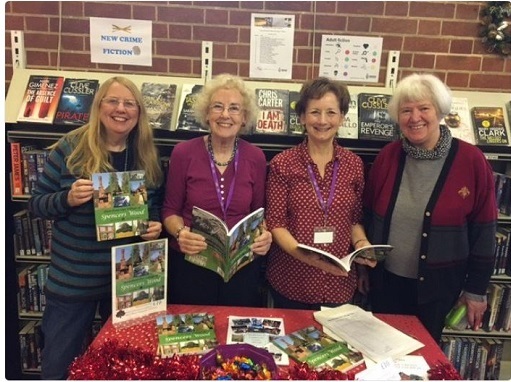 The success of the Lambs Lane book resulted in Ryeish Green School, as Oakbank was called then, asking us to write a similar book for their centenary in 2010. Again, we had much help from the school but we were hard pushed to get this out in time for the celebrations which were wonderful. A red letter day edged in black, as the school closed shortly afterwards. We have a record though. The first book was written by various people and the chapters or articles were dedicated to them. 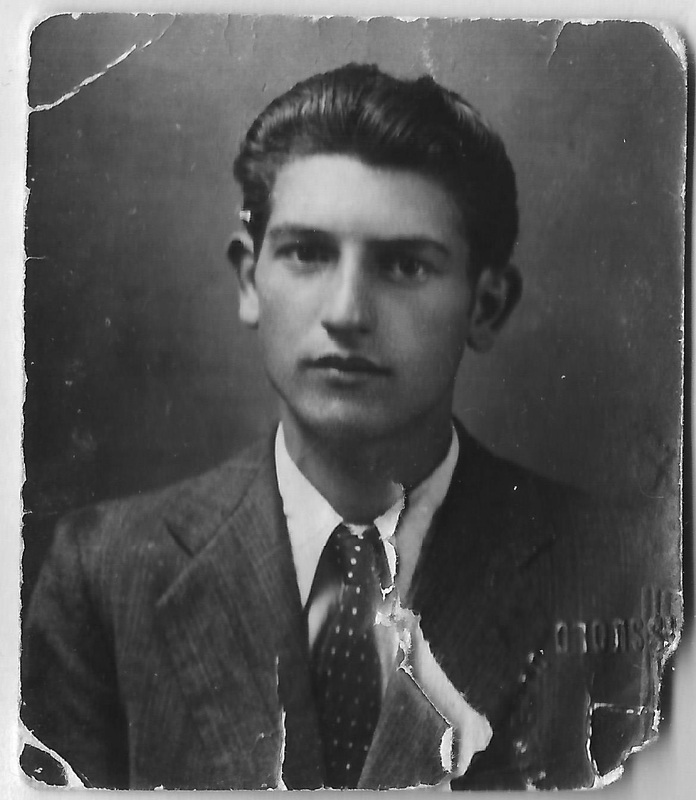 This style is echoed in our latest book. Barbara Debney was the first editor. 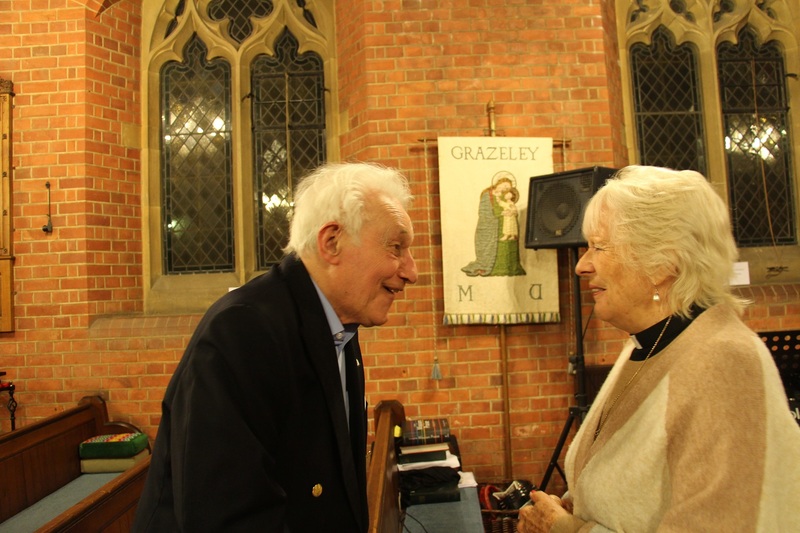 The two school centenary books both ably produced by Mary Wheway, herself an ex-teacher, were written by different people who each took a different decade or two to write about. These two books are therefore similar but not the same. 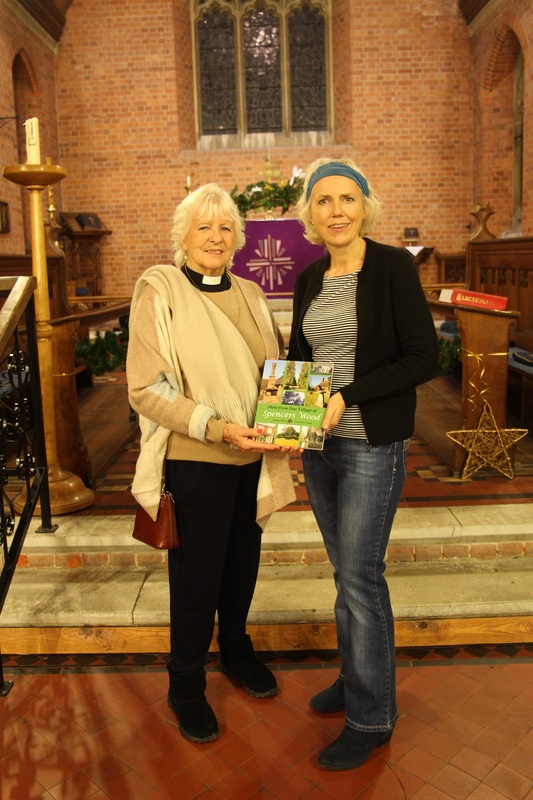 The Three Mile Cross Chapel book was written by Patricia Green and edited by Mary Wheway having been commissioned by the chapel in memory of one member. We have more copies of this book, available. Mary now has three of our books to her credit. Our latest book is edited by Catherine Glover which means a different layout will appear but it is in the style of our first book with chapters written by different people and credited so. 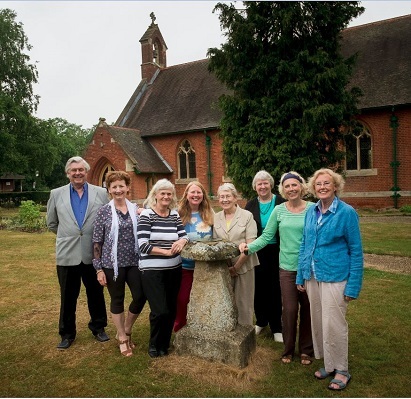 We have been fortunate in that our members, ten in total, are still enthusiastic about local history and we have many talents within the group with so many skills being brought to the table. As the numbers changed so the dynamics have and we have developed in computing, internet, with thanks to Jeannie Brice for our website, editing, presenting, interviewing, selling, ideas and history, and thanks to Lesley Rolph – regular contributors to St. Michaels Christmas Windows. banners from Spencers Wood WI, a shirt and cap from Spencers Wood cricket club, banners from Ryeish Green school, many deeds copied, with some originals, historic view plates, some catalogues, school magazines and reports, many photographs, posters and leaflets. The list goes on and on and we welcome anything we can keep to enhance our history. We have many ideas as to where we are going. 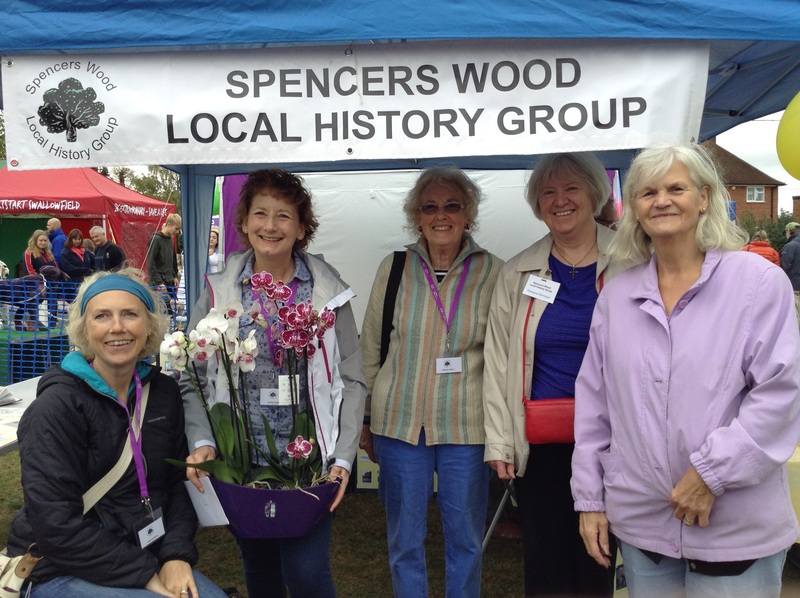 We like appearing at St Michael’s fete and the Carnival and one year we appeared at eight venues; that was exhausting! We are pleased with our efforts and are looking forward to the next twenty years. Have you ever looked up as you walked into the Spencers Wood Library? There are some initials above the door. Have you ever wondered what they meant? 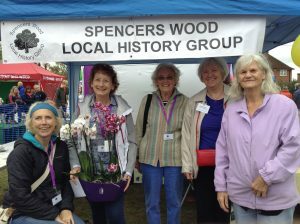 Did you know that Spencers Wood had its own Co-op Store? Where was Spencers Wood Common, the one that Mary Mitford spoke of so often? All the answers to these questions and many more facts about your village can be found in the new book, which we expect to publish this month. It is called ‘More from Our Village of Spencers Wood’. 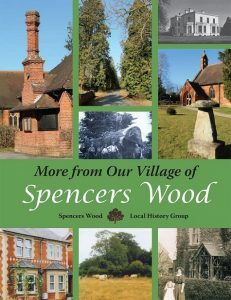 The book has been researched and written by the Spencers Wood Local History Group and has taken several years to come to fruition. The group has researched many original documents and spent many hours in Reading Library and the Berkshire Record Office. There are chapters on many aspects of Village Life. The Square was the centre of the village at the beginning of the 20th century and details about all the houses are set out in the chapter on The Square. Then there were two large houses in the village. 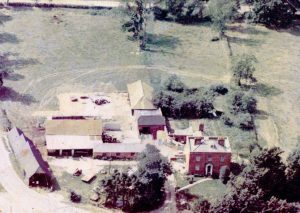 Highlands, now Vistra Offices was the home of the Magill Family. 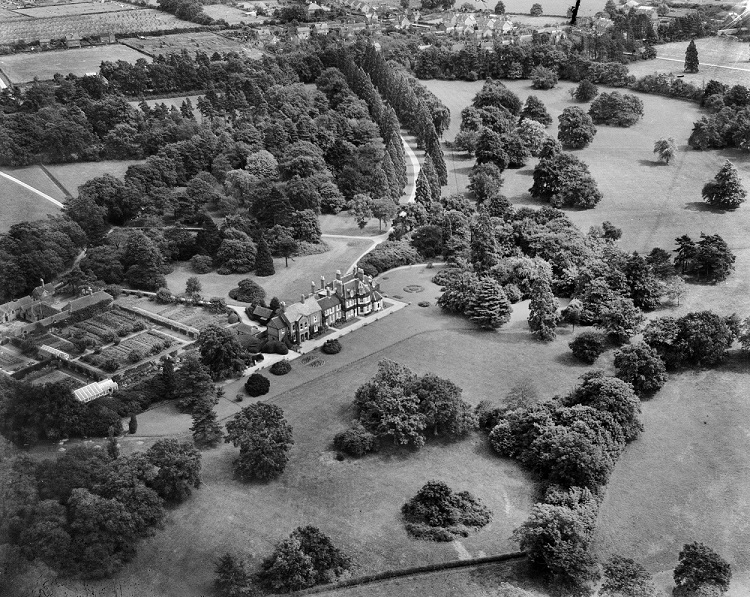 Stanbury Park was burnt down in 1960. Both houses have an interesting history and these are detailed in the book. 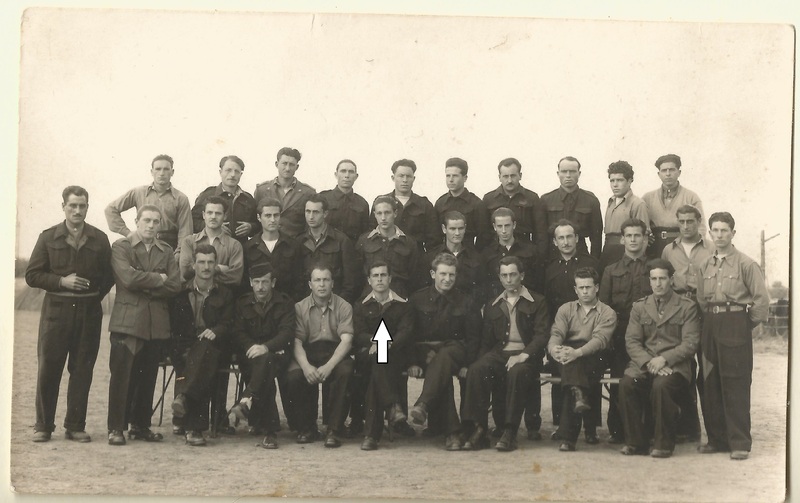 There was a Prisoner of War Camp at Stanbury during and after World War II. The licence for the original Chapel on the site of the United Reformed Church was dated 1817. There is a copy of it in the book. St Michael and All Angels Church was built nearly a hundred years later. The village hall came a little later still and many of the activities taking place there have been documented. The local schools have a mention including the latest school, Oakbank Secondary Free School. This is a must buy book and will be available soon at a very reasonable price. It is very well illustrated. We will be having several book launches in the village in the Autumn. Come along and meet us. 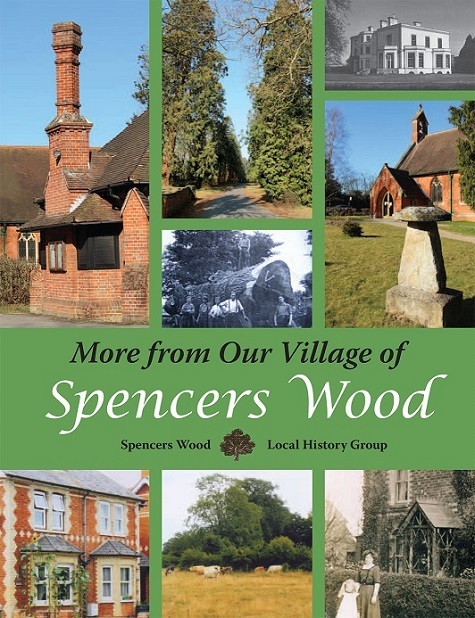 You can also order a copy via our email address (spwood.localhistory@googlemail.com) or via the contacts page on this web site.